All prices include shipping in the US. (Canadian shipping, please ask for a quote). This month's special offer - buy any two packages, get 10 free 6" squares! 50 6" charm squares, $8.00 per bundle ! 50 5" charm squares, $6.75 per bundle ! 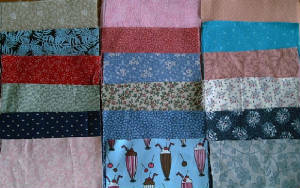 50 4" charm squares, $4.75 per bundle ! 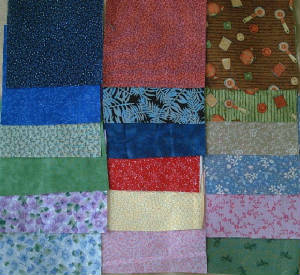 100 3" charm squares, $5.50 per bundle ! 100 2" charm squares, $4.00 per bundle ! 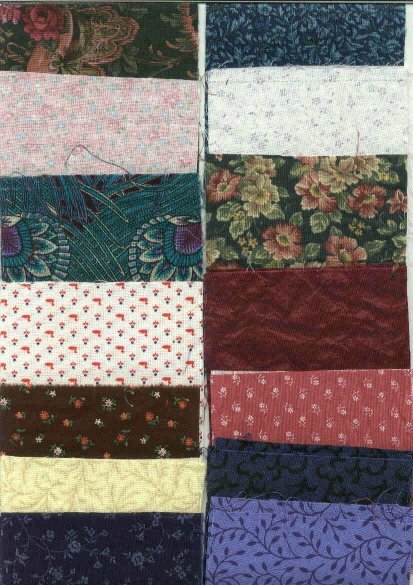 These represent about 30 years' worth of quiltmaking and fabric collecting by us and three other Vermont quiltmakers who passed on their "stashes". Lots of variety! 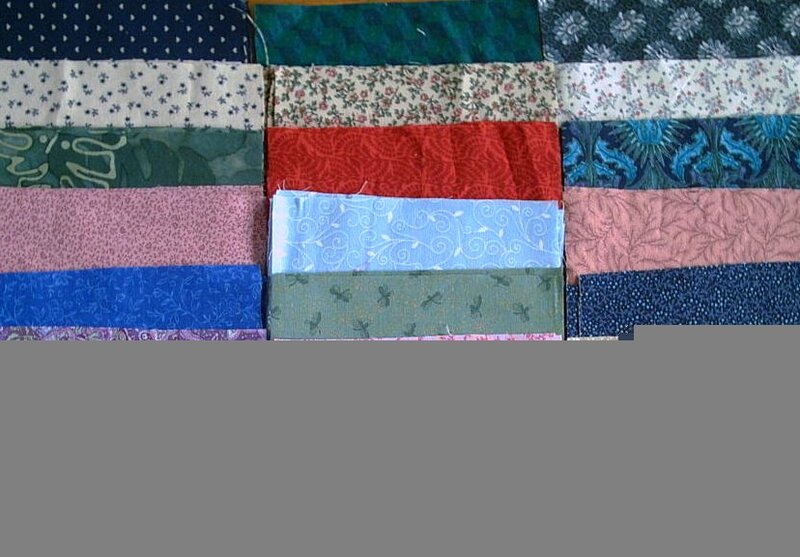 no more than 5% solids, and all the rest are quilt prints. If you prefer certain colors, I will try to accommodate your request. Build your stash or finish that quilt in a hurry! email me to order - thanks!